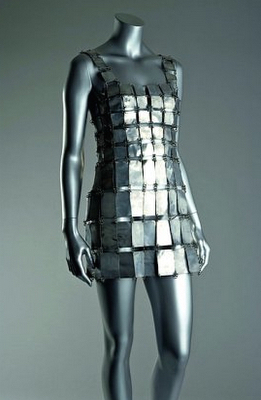 Paco Rabanne revolutionised fashion, with his mini-skirted metallic dresses: often one-offs, hand-made, he pioneered the recycling of materials in clothing, creating show-stopping outfits out of hammered metal, knitted fur, aluminium jersey, fibreglass and fluorescent leather – and epehemeral paper creations, too. Fast-forward to the 21st Century – and Paco Rabanne is still making waves in perfumery – with fragrances that have captured hearts, and become global blockbusters. 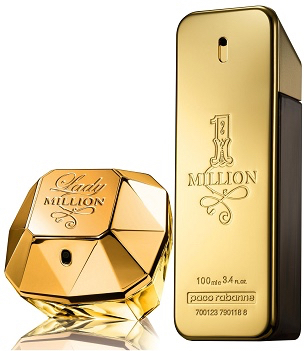 Most notably, Lady Million, with its faceted –and yes, metal-capped – bottle. (This time, the metal is gold.) As a result, even though Paco Rabanne himself retired gracefully from fashion in 1999, his name’s still on the lips of perfume-lovers all over the world. But in 1966 he created a storm in the fashion world with his debut collection: ’12 Unwearable Dresses in Contemporary Materials’. It turned fashion on its head, put him on the map – and what’s even more extraordinary is that many of those dresses still look utterly contemporary. If those dresses were ‘unwearable’, though, his fragrances are anything but: Paco Rabanne‘s signature has always been to take the unconventional and create a classic. 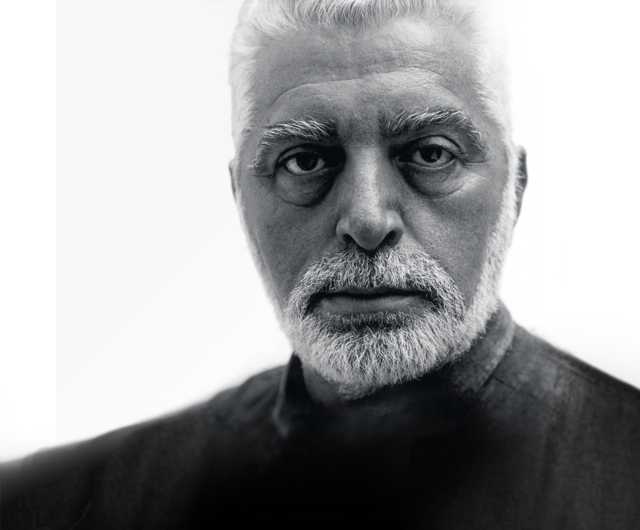 ‘I like my fragrances to be fresh first, then structured, full of vibrations and contrasts,’ says Paco Rabanne. Echoing that philosophy, the recent scents from this avant-garde designer name are incredibly widely worn. We know you’ll have smelled the Lady Million collection, with a gold-capped bottle as multi-faceted as the fresh woody floral itself: voluptuous, sensual, addictive, with its nectarous notes of white flowers, underpinned by patchouli and honey, and now available in a more intense version – offering a 20% concentration of the perfume extraits, in the Lady Million Absolutely Gold Parfum version. For men, Lady Million’s counterpart is the audacious, multi-faceted blockbuster 1 Million.